This seems to be another fan made game in the works similar to Armored Core: Limit Release, but this one seems to have focused the game to Armored Core’s typically unappreciated grunt enemies. 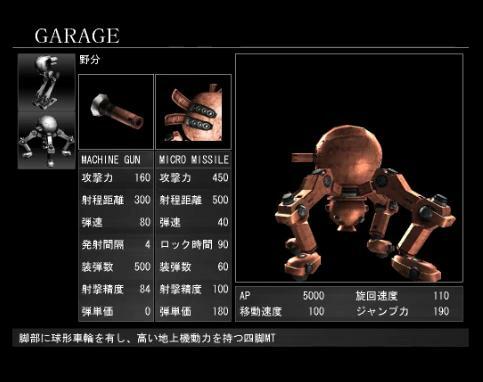 The name of the game escapes us, but it seems that it features MT opponents from the first Armored Core game and might also feature some limited customization on parts. Hit the jump for the video. Watch the whole video here. If the video fails to load, keep refreshing the page or try this link instead. As of the moment, we know little about the game maker or the title, or if it is a doujin game soon to be released or just a personal project of someone. We’ll update you as soon as information arrives. Thanks to J.E. for another heads up. Thanks Passage, for the update. Armored Core: Last Raven - Hacked! Finally. I wonder how it'll be when you're facing an AC. The game goes by the name of Muscle Tracer (MT), same name as the mechs present in it.